How Much Exercise Do I Need to Lower My Blood Pressure? Here’s the daily movement prescription to keep your blood pressure at a healthy level. There’s no way to avoid sounding alarmist about it: 46 percent of Americans now have hypertension, the number one risk factor for cardiovascular disease, according to revised guidelines by the American College of Cardiology and the American Heart Association (AHA) Task Force on Clinical Practice Guidelines. Exercise isn’t the only answer, but a continuous workout regimen can lower blood pressure in the average by five to eight mmHg. Aaptiv can help with taking care of your workout regimens. University of Connecticut Blood Pressure Researcher Linda Pescatello, Ph.D. explains what that means for you and your blood pressure. Under the old guidelines, you had to have a blood pressure reading of 140 or 90 mmHg (millimeters of mercury, a unit of pressure). The former number is systolic pressure, the maximum pressure of a heartbeat; The latter is diastolic pressure, the pressure between beats. Thirty-two percent of Americans exceeded one or both of the old pressure figures. But now, the American Heart Association segments hypertension into stage one (130-139 or 80-89), and stage two (140+ or 90+). Pescatello says that the new guidelines are meant to increase awareness of the problem of high blood pressure. 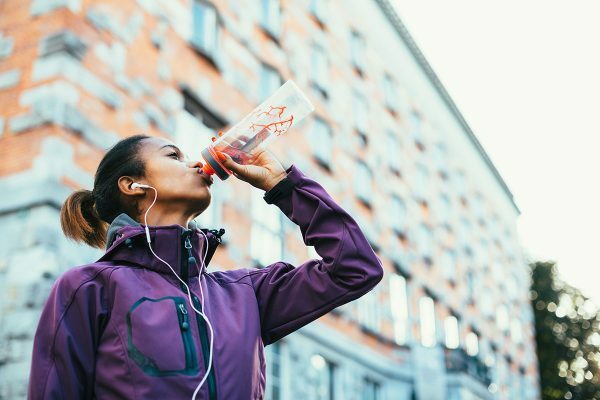 “Most of these people with hypertension who do hit the lower threshold can be treated with a lifestyle intervention, such as physical activity and dietary changes,” she says. Since 1988, Pescatello’s research has focused on the acute, or daily, effects of exercise on blood pressure. In 1991, she published her breakthrough study, which found that that participants’ blood pressure was lower on days when they exercised. The effect, called post-exercise hypotension, reduced mean arterial pressure for 12.7 hours for people with high blood pressure. For those with hypertension, 30 minutes of cycling lowered blood pressure for the entire day. Post-exercise hypotension also mediates daily blood pressure spikes. “It’s called circadian variation,” Pescatello says. “Blood pressure will be highest in the morning upon waking, and spikes during the day have to do with a surge in sympathetic nervous stimulation or arousal.” Basically, our stressors—problems at work, conflicts with partners, a long line at Starbucks—won’t raise our blood pressure as much if we’ve exercised that morning. Ready to get an exercise regimen started? Check out our workout samples here. Cardiovascular exercise was the long-preferred modality for overall health and lowering blood pressure. But in recent years, resistance and concurrent training (cardiovascular and resistance) have become recognized as similarly effective. A 2017 meta-analysis of 64 studies found that moderate-intensity dynamic resistance training reduced blood pressure by five to six mmHg for hypertensive adults and two to three mmHg for prehypertensive adults. Dynamic is the keyword. “In a bicep curl, the muscle is shortening and then lengthen[ing] during [a] contraction,” Pescatello says. That’s a dynamic move. A non-dynamic, or static, movement would be a plank. The blood pressure-lowering results from the resistance training meta-analysis came from an average of 14 weeks of dynamic resistance training, performed an average of three days per week. Unfortunately, the specifics of load, intensity, recovery, and duration weren’t reported well enough to levy a recommendation on a specific resistance training routine. A similar 2016 meta-analysis of concurrent training offers more routine-specific information. In studies where blood pressure examination was the primary outcome, concurrent training reduced both systolic and diastolic blood pressure. 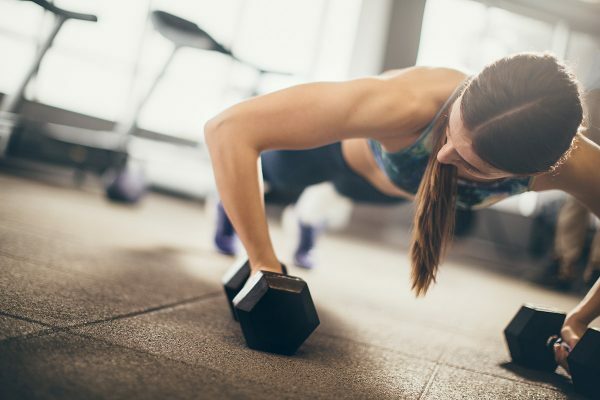 Participants did aerobic exercise at 55 percent of maximal oxygen consumption and dynamic resistance training at 60 percent of one-rep maximum for an average of one hour three days per week for 20 weeks. The bottom line is that it’s possible to lower blood pressure with exercise – especially with a workout app like Aaptiv. ICYMI: Women are incredibly powerful.